As one of the Republic of Ireland’s leading Building and Timber Merchants the Brooks Group has always been committed to offering the very best in customer service. 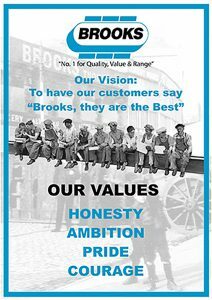 Brooks has been an institution in the Irish construction industry since its inception in the late 1700’s and their success has been driven by their customer-focused approach. To ensure staff continue to develop their industry knowledge, enabling them to better service customers, Brooks have recently invested in an accredited programme of eLearning developed by the highly respected Wood Campus. 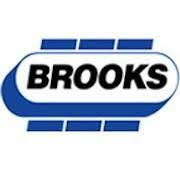 Across all their branches the Brooks Group have enrolled 125 employees on the Award in Timber Merchanting. Each employee on the course will undertake over 39 hours of eLearning tuition combined with an extensive list of further reading. Paul Mulvihill, Purchasing Director at Brooks said, “We are always looking to ensure that our staff provide the best possible advice to our customers and this extensive commitment in employee knowledge will help to unsure that”. As the producer and host of the Award in Timber Merchanting programme, Wood Campus would like to welcome the Brooks Group onboard. For anyone interested in reviewing the content or indeed undertaking the programme, please click the button provided. At only £150 per delegate, it offers exceedingly good value for money and is ideal for new starters and those looking to expand their knowledge and career prospects within a Merchanting environment.